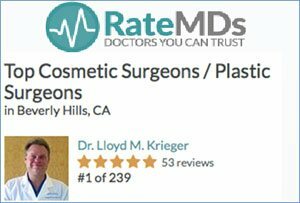 Cosmetic Surgery Times - Lloyd M. Krieger, MD. Beverly Hills, Ca. With the U.S. dollar continuing its decline against the Euro and British pound, the United States has become a big bargain for European travelers, particularly for higher-priced items — and that includes cosmetic surgery. While hard figures are hard to come by on just how many are coming and how much the cosmetic traffic has risen since the dollar began its descent, U.S.-based cosmetic surgeons say they have witnessed a substantial uptick in foreign patients in recent years. “We’ve seen an incredible increase in patients coming from foreign countries,” reports Z. Paul Lorenc, M.D., a New York-based plastic surgeon and assistant professor of plastic surgery at the New York University School of Medicine. EXCHANGE RATE RALLY “There has definitely been an upswing in the last couple of years because it’s basically a bargain for them,” Dr. Lorenc says, adding that patients have come from regions ranging from Ireland and Europe to Japan, South America and Dubai. “If I had to pick one place from which I’ve seen the most patients, it would be Great Britain,” he tells Cosmetic Surgery Times. Dr. Lorenc enjoys a relatively high profile, and with appearances on networks like CNN, a book published in 2004 and the Internet, patients looking for a skilled surgeon in the U.S. have little trouble finding him. “I had a patient who came in from Japan with my book, which had been translated into Japanese, and I think that’s one of the reasons she came all the way here. The Internet also helps people find me,” he relates. The trend of foreign patients coming to the U.S. has not been lost on marketers, who also don’t have much trouble finding Dr. Lorenc. “We get an awful lot of inquiries from companies that are doing these types of promotions to patients overseas,” he says. “Just this morning, we got a call from a marketing company trying to reach a physician.” The callers typically aren’t put through to Dr. Lorenc because he doesn’t market his practice, but a growing number of other surgeons do, and they are increasingly promoting their practices in publications and on the airwaves overseas. PROMOTION AT 20,000 FEET Travelers on many U.S. airlines need only pick up the airline in-flight magazine to find glossy, full-page advertisements promoting the “Best Plastic Surgeons in America,” in addition to the “best” doctors and orthopedic surgeons — ads designed to target U.S. and foreign travelers alike. 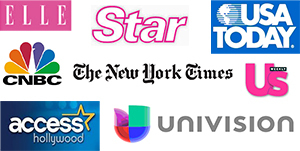 “The ads in U.S. in-flight magazines are resulting in a number of clients from overseas,” states John Rissi, president of Madison Media Corp, which places such ads. The company markets the advertising to doctors who have appeared on “top doctor” lists compiled by Castle Connolly and published in “top doctor” issues of publications such as New York Magazine. And with U.S. doctors’ interest in reaching the international market growing, Madison Media has launched a “Best Beauty Doctors” page in the British Air in-flight magazine, featuring a dermatologist, plastic surgeon, cosmetic dentist and hair transplant surgeon. “We will also have ads in the Air Canada in-flight magazine and are looking at Russian and Japanese markets as well, so the international airline program has only started,” Mr. Rissi notes. John Sherman, M.D., one of the surgeons listed in the ads, says he has definitely seen a substantial increase in foreign patients. “Over the last two years, the number of foreign patients we’ve had in my practice has risen significantly,” states Dr. Sherman, assistant professor at New York Presbyterian/Weill Cornell Medical Center in New York City. MAKE-CATIONS On the West Coast, Lloyd M. Krieger, M.D., a Beverly Hills plastic surgeon, says he has also seen increasing numbers of patients coming from foreign countries, with foreign patients making up about five percent of his patients last year. While many come for the practice’s signature “Rodeo Drive Mommy Makeover” (including a tummy tuck, often with a breast lift or augmentation and liposuction), many patients simply take advantage of some noninvasive procedures that will likely be a bargain, due to the value of the dollar. “Most people travel for larger procedures, but we also get a large amount of ‘walk-in’ traffic for same day, noninvasive procedures such as Botox,” says Dr. Krieger, medical director of Rodeo Drive Plastic Surgery. “A significant number of patients transit through New York, so maybe they’ll be heading out to Los Angeles or somewhere else for business, and they’ll make a stop here,” he explains. Depending on the procedure they have, however, Dr. Lorenc makes sure they don’t catch the next flight out of town. STEMMING THE FLOW With widespread reports in the U.K. of patients returning with complications from “holiday surgeries” they received in other countries (though not as many from the U.S.), some overseas physician groups are not thrilled about the trend, and efforts are underway to try to educate patients about the benefits of staying close to home for any kind of medical treatment. “There are attempts to educate patients in the U.K. about the importance of thorough and lengthy pre-operative assessment, which many don’t get until the day of surgery if traveling,” states Simon Withey, M.D., a plastic surgeon with the London Plastic Surgery Associates and member of the British Association of Aesthetic Plastic Surgeons (BAAPS). “Patients are also informed on the importance of receiving a continuity of care with the same surgeon providing post-operative care and assessments, and the need to be seen for review for up to 18 months, when necessary,” he adds. Dr. Withey tells CST that doctors in the U.K. have seen a rise in patients who come in to have stitches removed from a surgery done elsewhere; to check that the result of a surgery performed elsewhere looks right, or to treat a post-operative problem resulting from a foreign surgery. Patients are also warned, as Dr. Lorenc noted, about dangers in flying immediately after surgery and the difficulty in pursuing negligence cases if substandard care is received abroad. Despite the number of overseas aesthetic bargain lovers U.S. surgeons are seeing, the BAAPS representative believes the education efforts are beginning to resonate with consumers. “After three years of increasing medical tourism, the message seems to be getting through and patients seem to be wising up,” Dr. Withey says. Still, James Frame, chairman of the International Society of Aesthetic Plastic Surgery, contends that the trend of “holiday surgeries” is nevertheless increasing and attributes about 20 percent of complications in the U.K. to the phenomenon. TSA DETERRED? One factor that some suggest prevents even more foreigners from travelling to the U.S. for surgeries is the perception that tougher post-9/11 security and visa requirements make entering the country much more of a hassle than ever before, though Mr. Frame says he has not observed that. For more information about our approach to breast augmentation in Los Angeles and breast implants in Los Angeles please contact us.